As part of the 27th annual National Cancer Survivors Day, Scripps Health will host free public celebrations throughout June for local cancer survivors, families, friends and the community at large at each of its five hospital campuses across San Diego County. The programs are open to all residents impacted by cancer, regardless of where treatment was received. Events will include inspirational stories of survival, presentations on cancer care advances, refreshments and opportunities to connect with caregivers and fellow survivors. 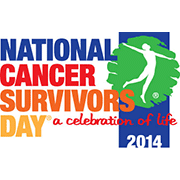 National Cancer Survivors Day events are held in hundreds of communities nationwide throughout the month of June. The events are designed to connect and celebrate with those who have survived, inspire the recently diagnosed, offer support to family and loved ones and recognize those who have provided support along the way. They also provide a forum for discussing the physical, financial and social issues that many cancer survivors face following completion of treatment. Nearly 14 million people in the United States are now living with and beyond a diagnosis of cancer.